The Petrol Deca mixer bag for audio devices. Petrol's professional mixer bag is optimally designed to transport equipment and accessories comfortably and securely, and keep them safe, organized, and accessible on the job. 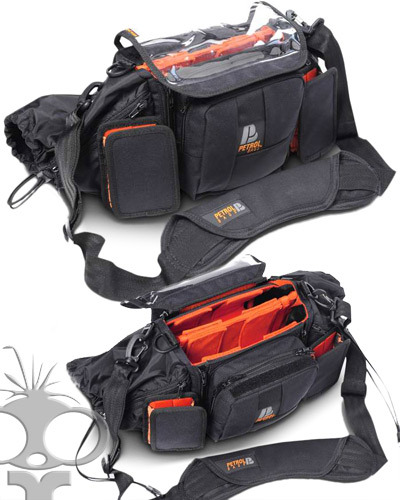 The bag can hold the Edirol/Roalnd R-44 and another device at the same time or independently. It can also hold up to 4 radio mic transmitters/receivers.